Offering you a complete choice of products which include aluminum hose, flat hose, duct hose, exhaust hoses, air hose and nylon hoses. Involved in manufacturing, exporting, wholesaling, trading and retailing, we are engaged in offering Aluminum Hose. Optimum-grade aluminium and basic components are used in the production process of these hoses that are obtained from accredited vendors of the industry. Employing latest tools and technology in the production process, we are able to meet the urgent demands of clients. Flat Hose offered provides for flexible usage including more convenience to unroll which makes these highly preferred in areas like irrigation, utility plants, gas drilling, sewer cleaning, jetting and others. 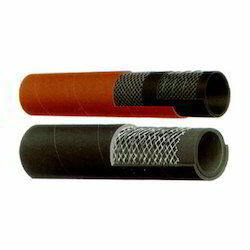 Available in special woven reinforcement, these are also light in weight in comparison to conventional rubber hoses, thus making them convenient to handle. Some of its standard features include lay-flat finish, providing for heavy-duty water discharge support, durable and abrasion resistance construction, resistance to mildew/rotting, made using high-tensile rubber compound and others. 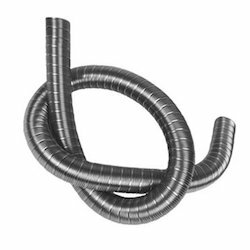 We are engaged in offering our clients a superior quality range of Duct Hose. We design the given product following industrial standards by making use of best quality material and modern technology. Exhaust Hoses offeredcan be made available by us in both standards as well as customized finish variations so as to perfectly match up with the specific usage demands of the customers. Further, the tube construction featuring oil resistant synthetic rubber as well as high tensile steel wire braid reinforcement also makes these provide for reliable performance. Some of its features include superior resistance from abrasion, ozone and weather; stable finish quality; fabric reinforcement and synthetic rubber cover; suitable for use in the factory and civil engineering applications. 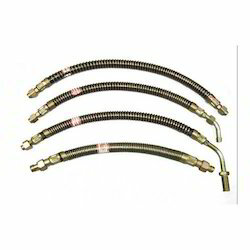 We are leading manufacturer and supplier of Air Hose. It is manufactured using quality raw materials and latest technology. Furthermore, these products are checked on various quality parameters to ensure its defect-free nature. Nylon Hoses offeredcan be made available by us on different outer diameter options of AD10 to AD80 as well as in nylon material finish in different grades so as to match up with the specific demands of the customers. Some of its features include available in colour options of black, grey and others; offering excellent flexibility and tenacity; superior resistance to mineral colour grease, chemicals; superior UV and wind resistance. 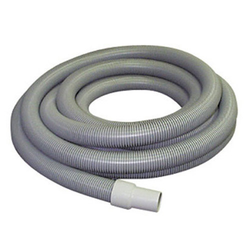 Vacuum Cleaner Hose offeredcan be made available by us in different finish configurations including normal, antistatic, conductive modified PE and other finishes as demanded by the customers. Providing for flexible working support, these hoses are also lightweight in construction as well as bear high tensile strength. Some of its features include smooth interior construction finish; crush-proof construction; offering low noise performance; application suitability in areas like textile machines, granulate conveyors, engineered machines and others. 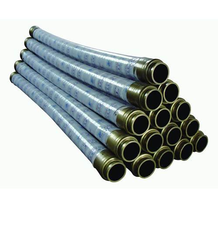 Concrete Hose offered can be made available in superior anti-static as well as high-pressure performance so as to perfectly match up with the specific working support as demanded by the customers. 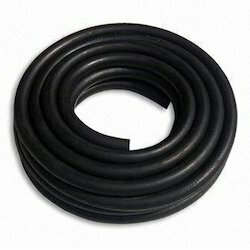 Further, these steel wire spiral rubber hoses are also having high-temperature resistance and provide for superior flame resistance. Some of its features include finding usage as drilling hose, marine oil hose; dredger hose, discharge hose and others; find use in construction machinery; offering high pressure and high wear-resistance. 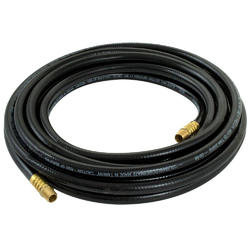 Flexible Metal Hose offeredcomprise quality finished EPDM hose that is made available with the support of brass chrome plated nuts/inserts and SS sleeves. 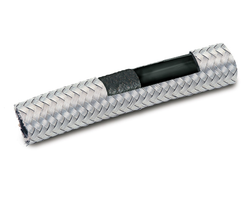 We make these hoses available in diameter options with the hose material comprising SS304/316 braided single/twin mesh layer. Some of its features include different hose thickness choices; annular or spiral corrugated finish; can be provided with connection support of female/male thread and quick connector/flange support; fire resistant finish among others. Sandblast Hose offeredfeatures oil resistant synthetic rubber inner layer finish as well as steel wire based braided reinforcement support so as to provide for optimum functional support as demanded by the customers. Further, its oil and weather resistant synthetic rubber cover also make it provide for lasting service usage. Some of its features include suitable for use in petroleum base hydraulic fluids; suitable for carrying of water/general neutral liquid; used in factories, mining areas, civil engineering and other application areas. Garden Rubber Hose offered to find extensive use in the agricultural sector and features the use of quality tube construction that is smooth as well as made using NR/ synthetic rubber in black and other colour options to pick from. So e of its features include coming with one/multilayer reinforcement support; choice of abrasion and weather-resistant synthetic rubber cover; inner rubber liner composed of wear-proof natural/synthetic rubber; superior reinforcement layer composed of high strength rubber dipped chemical fibre; available in different wall thicknesses. Polyurethane Hose offered to provide suitable support for effectively handling the demands of abrasive solids like dust, powders, granulates and others as well as find suitability for the handling of ventilation/air conditioning systems. Further, these are highly flexible and compressible as well as have high abrasion-resistance. Neoprene Hose offeredcan be made available by us in different finish specifications and come developed using technically advanced machinery support so as to provide in them flawless finish quality. Further, these hoses come with inner tube comprising oil resistant synthetic rubber with reinforcement support of high tensile steel wire braid. Further, these feature superior cover support comprising oil, abrasion and weather ageing resistant rubber. Some of its features include suitability for carrying hydraulic fluids; suitable for high-pressure applications. Thermoplastic Hose offered comes in superior reinforcement finish as well as in high-tensile steel wire based braided finish so as to provide for optimum functional support. Further, these can also be provided with textile weaving support. Some of its features include available in different colour choices of black, grey, blue and others; nitrile based inner tube finish; cover compound comprising neoprene; suitability for use in agricultural, petroleum and hydraulic fluids. Air Brake Hoses offered can be made available by us in different diameter options of custom developing the sizes as demanded by the customers. Further, our expertise lies in making these available in blue, red, black, transparent and other finishes. 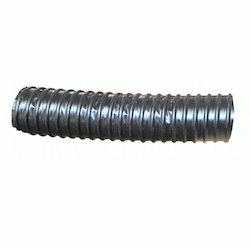 SS Corrugated Bellow Hose offered to come in non-toxic flame-proof and polyolefin-made finish and finds the use for making connections to a gas system involving boilers, water heaters and others. 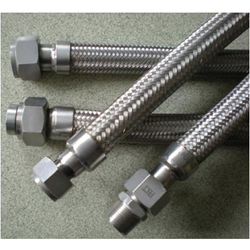 The hoses are made available in stainless steel AISI 304 finish as well as in standard threading support. Some of its features include end fitting support comprising hi speed stainless steel AISI 304; external covering comprising polyolefin in the flameproof and non-toxic finish. 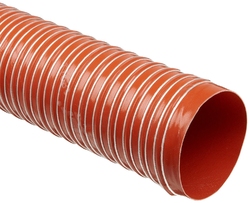 Our firm is involved in manufacturing and supplying a huge range of Plastic Hose. We design the given product following industrial standards by making use of best quality material and modern technology. High Temperature Hose offeredcomprise high temperature flexible hose pipes and provide for suitable support as suction and transport hoses. These are ideally suited for use in air conditioning and ventilation areas installed for the handling of fumes, dust extraction and other process tasks. Some of its features include providing for flexible connection support; superior vibration resistant finish; having high tear resistance and tensile strength; small bending radius. Our firm is involved in manufacturing and supplying a huge range of Lay Flat Hoses. We design the given product following industrial standards by making use of best quality material and modern technology. 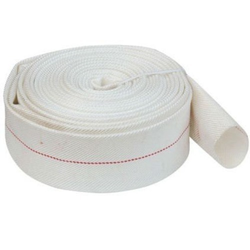 Ventilation Hose offeredcan bemade available by us in flame-resistant PVC material finish with static-free fabric finish and steel wire reinforcement so as to provide for optimum functional support as demanded by the customers. Further, we can offer these hoses in options of different diameters as well as in lengths. Some of its features include available in different colour choices of yellow, red, orange and others; offering high-temperature endurance; superior resistance from acid and alkali. 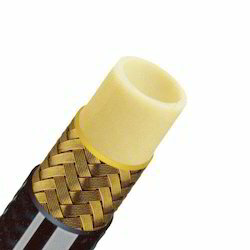 We hold expertise in offering the wide gamut of Vacuum Hose in the industry. This product is manufactured using high-grade input factors as per the preset industry norms. 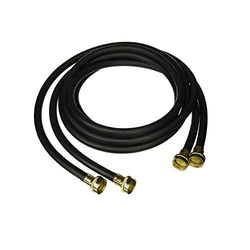 Coated Hose offeredcan be made available in different configuration choices so as to perfectly match up with specific working requirements of the customers. Finding the use for conveying of liquids in a field of agriculture irrigation, construction projects, industrial and other areas, these are suitable for handling high pressure working under low/medium temperatures. Some of its features include high strength polyester filament finish; anti-stretch and anti-fracture resistance; small expansion rate; superior anti-aging and abrasion resistant performance among others. 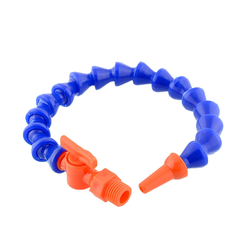 Coolant Hose offered comprise a wide range of plastic coolant hoses that can be made available in standard lengths or as per clients requirements. Further, these can be made available in diameter options and others with the support of plastic male thread made as per specifications. Some of its properties include superior oil resistance capacity, superior eroding-resistance; high-temperature resistance among others. 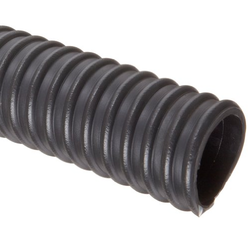 Corrugated Hoses offeredfeatures oil resistant synthetic rubber tube finish as well as superior reinforcement support comprising two high tensile steel wire braids. 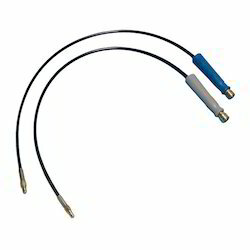 Further, it comes with abrasion, ozone and weather resistant cover in synthetic rubber finish with the overall finish of the hoses capable of handling temperatures having superior flexibility and anti-aging resistance; superior oil resistance for longer service life; suitable for handling of liquid and oil transmission, home appliance accessories and others. 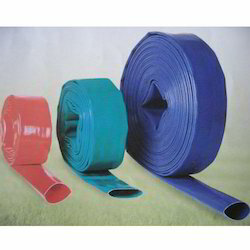 Chemical Hoses offeredcan be made available by us in different configuration options to choose from and features special soft PVC material finish as well as high tensile polyester fibre based middle layer for delivering optimum functional support. Further, these hoses also come with high temperature and wear resistance, corrosion resistance and smooth tube surface finish. Some of its features include suitable for handling conveying demands of gases at high pressures; suitable for in factory, machinery equipment, civil engineering; available in different colour choices; inner tube coming constructed in SBR or NR finish. Machine Hose offeredfeatures oil resistant synthetic rubber based inner tube finish as well as with superior reinforcement support comprising double high tensile steel wire braid which makes these provide for lasting service performance. Further, its abrasion and weather resistant synthetic rubber cover finish also make these hoses provide for reliable functioning. Some of its features include suitability for the handling of hydraulic fluids like mineral oils, fuels, emulsion and others; suitable for use in low-medium pressure hydraulic systems among others. Extension Hose offeredcan be made available in stainless steel 304 grade finish as well as with inner hose finish support comprising PVC/EPDM and other materials. Some of its features include available in different finish lengths; support of gasket in silica/EPDM/NBR and other materials; expertise in also designing product as per customer's requirements. Teflon Hoses offeredcan be made available by us in different configuration choices in quality polytetrafluoroethylene resin and other choices using well defined extrusion and sintering process so as to ensure reliable functioning support. Further, these hoses are highly resistant to high temperatures and pressure as well as provide for effective resistance from corrosion and abrasion. Some of its features include come with superior mechanical strength; suitable for use in areas like mechanical, electronic, chemical and others; ultra-low friction coefficient and others. 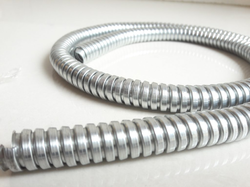 Corrugated Metal Hose offeredcan be made available by us in different configuration choices using 304 SS corrugated & PVC coated finish so as to match up with the specific demands of the customers. Further, these hoses also come with superior corrosion resistance as well as attractive and safe to use finish. Some of its features include providing for firm connection support; superior corrosion resistance; comes with long performance life; allows for free bending; S.S. braided and PE coating for making hoses more easy to maintain. Focusing on the quality of the products, we are engaged in manufacturing, exporting, wholesaling, trading and retailing Blower Hose. At our state-of-the-art infrastructure facility, these hoses are manufactured with perfection in accordance with the international quality standards. Available in different sizes, these hoses are available at industry leading prices. 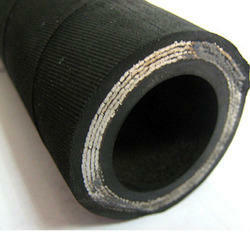 Driven with perfection, we are engaged in manufacturing, exporting, wholesaling, trading and retailing Petroleum Hose. By utilizing the premium-grade raw material in the manufacturing process, these hoses are manufactured by our experienced professionals. Widely used for different industrial purposes, these hoses are undergone stringent quality checks to ensure flawlessness. 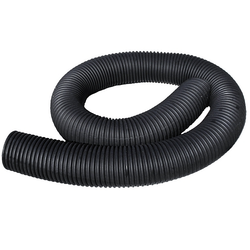 Our organization is involved in manufacturing and exporting a quality range of Vinyl Hoses. These are precision engineered to meet the varied requirements of highly productive industries. 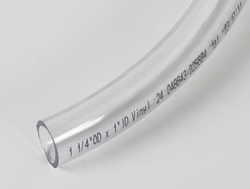 The offered hose pipes are sourced from our reliable vendor base that uses only optimum quality fibre and polyvinyl chloride in the manufacturing process. Intercooler Hose offered comes with superior resistance to high temperatures. 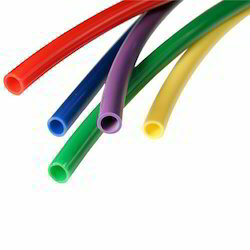 We make these hoses available in superior grade silicone rubber material in different shapes and diameter choices as per the specific end-user requirements of the customers. Further, we can also offer hoses with viton material on the inside to meet their specific usage in the automobile industry as well as provides for optimum resistance from heat and chemicals in industry sectors like aerospace, oil and gas and others. 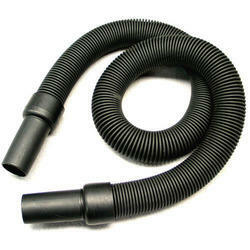 We can also custom develop these intercooler hoses as specified by the customers. 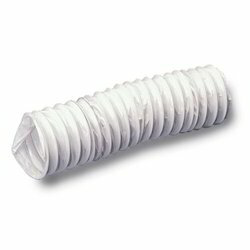 Cotton Hose offered is available in a wide range of choices and comes in rubber lined construction finish which makes these highly durable as well as resistant to high working temperatures. Providing for reliable usage, these cotton hoses are developed using superior grade PU, synthetic materials, PE, natural rubber as well as come finely designed to more effectively handle alkalis, acids, chemicals during production and transfer application processes. Developed in performance specific safe and reliable construction, we can also customize these hoses as per the specific demands of the customers. 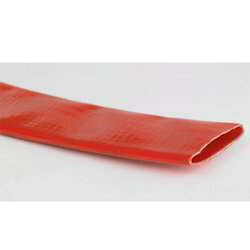 Plastic Flexible Hose offered are available in both standard as well as custom developed construction finishes in varying sizes, profile options, construction material choices and other parameters. 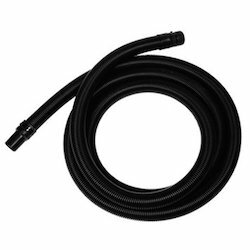 Matching up with the specific end-user needs of the customer, these flexible hoses are also available in right extruded profile to finish. Here, we also ensure the plastic material used comprises in it a blend of polyethylene that successfully meets specific industry requirements. Some of its features include availability in two profile options including one flexible and one rigid, can be expanded to greater size in comparison to its original length and others. 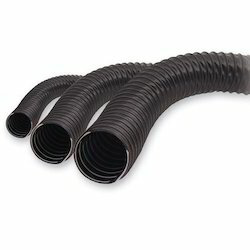 Cementing Hoses offered to come in quality construction finish support and provides usage as a flexible connection between standpipe and swivel. These are also suitable for use in between pump and standpipe for pumping mud at extra high pressures. Some of its features include finding extensive use in drilling applications; suitable for use in elevated temperatures; tube designed for efficient handling of abrasive, corrosive mediums; superior cover finish for the handling of external damage from abrasion, corrosion and weather. Pressure Hose offeredcomes in strong structure finish and provides for flexible usage support in high-pressure conditions. Finding use in conveying of material like water, gas, oil and others, these high-pressure hoses also lighter in weight and provide usage in the spraying of chemicals and other processes. Some of its features include available in the different colour; soft, flexible and comfortable usage experience; OEM accepted in accordance with defined standards. We are engaged in offering our clients a superior quality range of Teflon Flexible Hose. We design the given product following industrial standards by making use of best quality material and modern technology. Air Compressor Hose offeredcan be made available by us in PVC material finish as well as with the support of polyester fibre reinforcement so as to provide for optimum functional support as demanded by the customers. Further, these hoses can be offered in options of different diameters and find suitability for use in conveying of petrol, fuel in pneumatic tools, civil engineering equipment among others. Some of its features include coming developed in durable PVC mixed with rubber material; high tensile polyester reinforcement support; coming with high working pressure; lightweight and superior work flexibility among others. 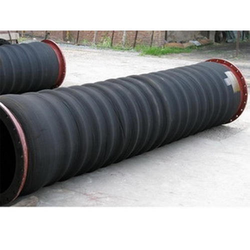 Floating Hose offeredcomprise quality finished dredging rubber hoses comprising inner lining as per the specific demands of transported media. Further, these can also be provided with support of wear indicator layers for hoses used in the transportation of abrasive media. 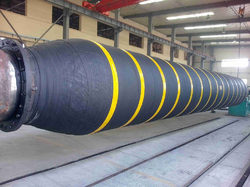 Some of its features include high tensile strength for controlling pressure resistance of dredging hose; superior tensile strength; outer cover developed using rubber compound being resistant against weathering; can also offer outer cover for handling oil resistant materials.